For me, May 2018 will forever be associated with GDPR and I bet a lot of you felt a bit stressed back then. According to various analyst we haven’t even seen the actual results of the regulation yet. If you didn't take action back then, now is a good time. As a DAM provider we had to take action on GDPR related issues in 2016, taking actions on processes, agreements and feature development. Even if we were prepared, I have to admit that I did feel the GDPR stress in May last year but that was probably mostly because you didn't know what to expect. I just read another article about GDPR and how tough the set up was, what’s happened the last year and, most interesting, what is to expect from 2019. Turns out many experts believe that we haven’t seen nothing yet and that we will see a huge increase in reported breaches and fines. What we have done to support our users is to set up a range of features for staying in control of your assets connected to personal data. A couple of basic features related to GDPR in QBank is keeping track of people and erasing trace of people. A majority of organizations keep images portraying people in some way. Usually you have images with your employees or maybe images from event and such. For all of these images you need consent agreements. By relating the agreement to the accurate image, they always stick together. You should also tag your images with the people portrayed, so you can easily find everything related to a specific person. People come and go, therefore we have a feature for 'Forget about me situations', we call it “Value redact”. Deleting images is one step of erasing trails to a person. Start by searching for assets related to the person and delete selected images. After that you move on to “Value Redact” and delete all data that can lead back to the specific person. This is a great tool, but since it can’t be undone it is only available for administrators. 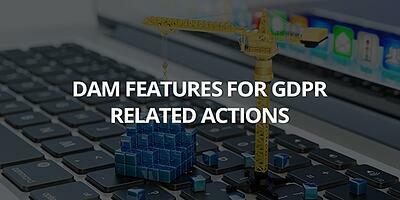 In an earlier GDPR related blog post we go through this more in detail, and also added a couple of more features. You can always turn to us for a demo and we will show you how it works. 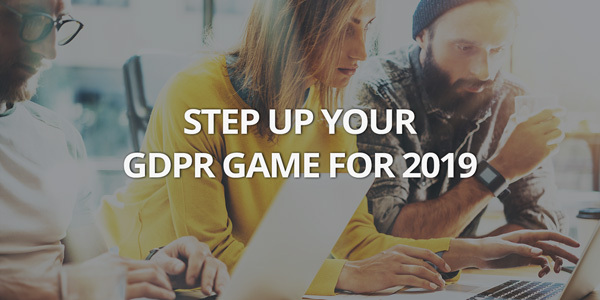 Implementing a DAM is a marketing or communications related investment, and not solely a GDPR tool. But it does go hand-in-hand with future proofing and digitalising your organization. Imagine how much hours we would have had to put in if GDPR was introduced 15 years ago. The future is here, or at least if by future you mean robots, artificial intelligence and machine learning. You don't have to manually keep track of who is portrayed in you images, this is better done automatically with less room for errors. On top of better quality you will save time. Time that can be spent on something creative instead.